I think Fall is finally here to stay in KC. 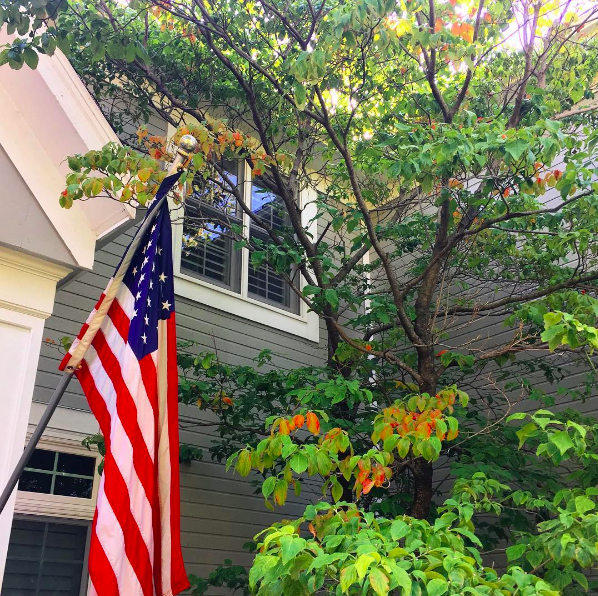 A few summer-like days continue to pop up here and there, but the nights are cool and the leaves are changing so we’ve definitely turned the corner. 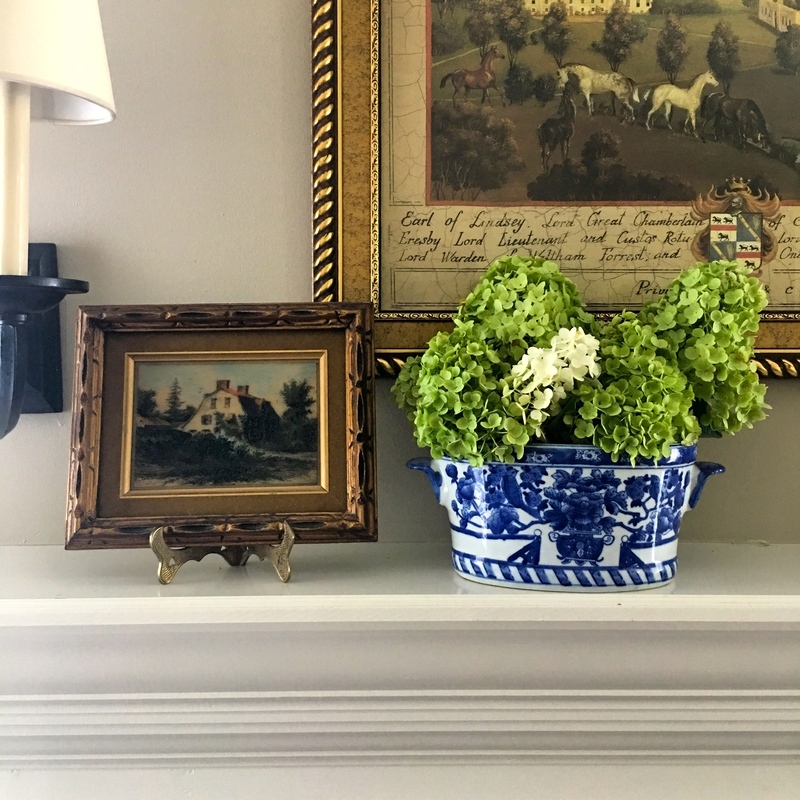 I no longer “decorate” the house for the seasons like I used to, but I do like slowly adding little touches here and there, like bringing some end-of-summer Limelight Hydrangea blooms inside for the living room mantel. I’m still enjoying them there even now that the blooms have dried. 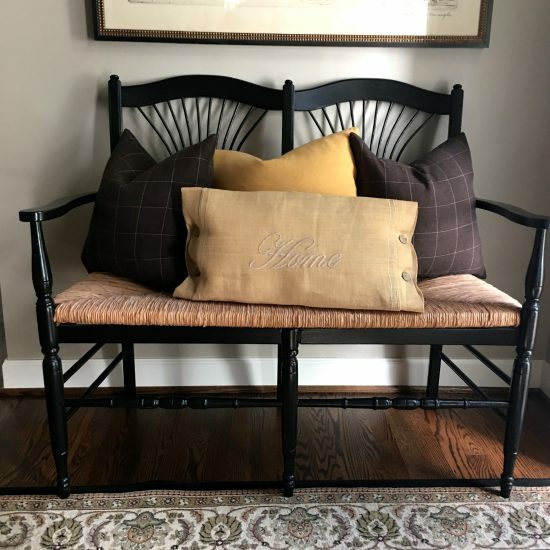 As usual, I’ve switched out some of the pillows on the bench in the entryway. And I wish you could smell this candle which I’m burning as I type. 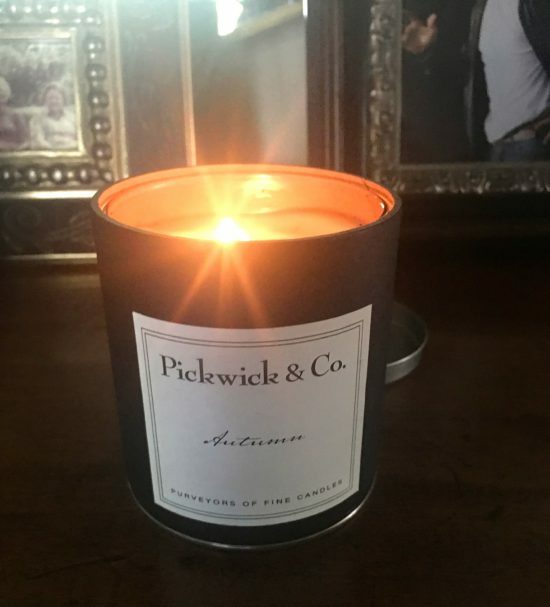 A couple of good friends and I went to the Fall Open House at Nell Hills, and we probably spent 20 minutes opening and smelling all the Pickwick candles on display. They’re all so good and I love the classic black and white labels. 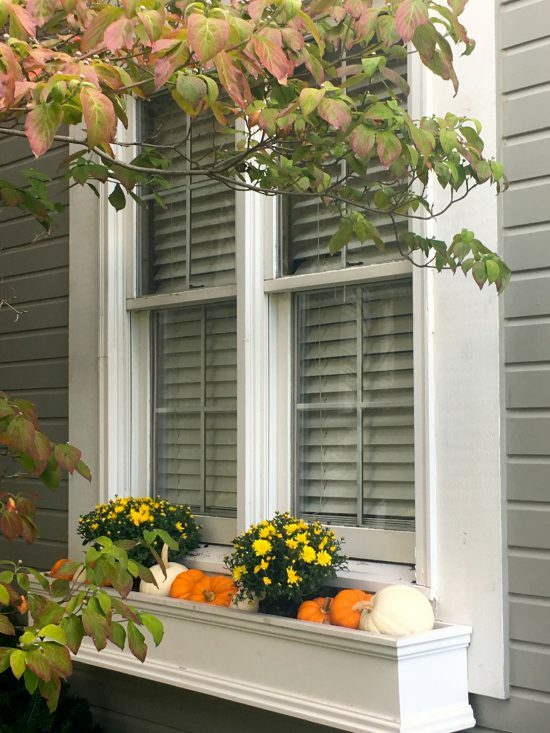 Outside, the window boxes got some mums and pumpkins from the grocery store. 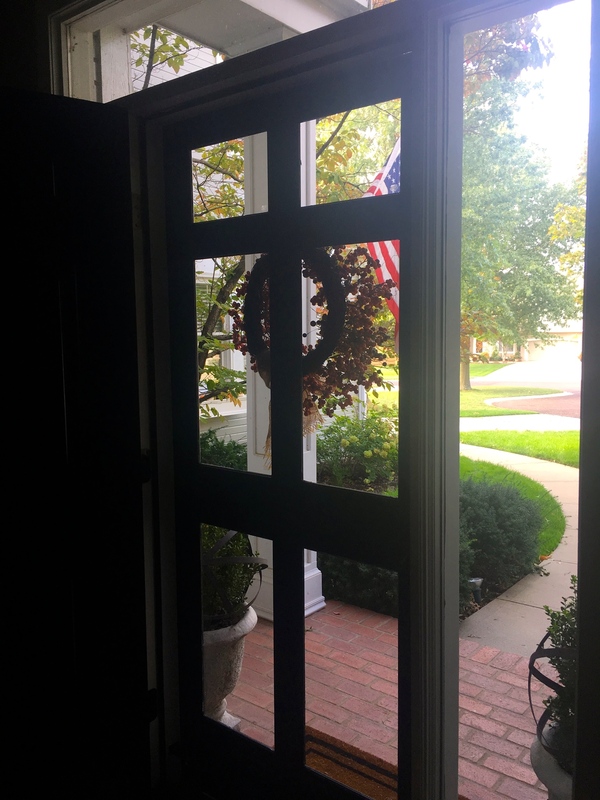 And the new storm door got a fall wreath. I shared a bit about this door on Instagram. 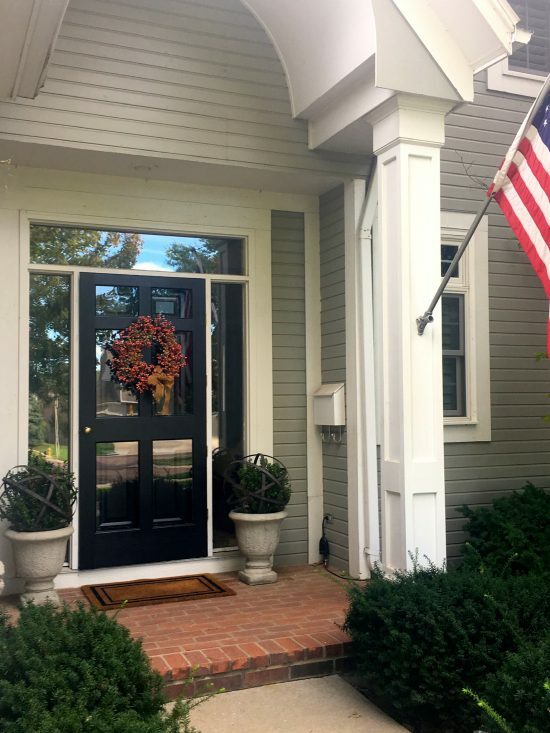 Our former storm door needed to be replaced and I wanted something a bit different. I love these wood and glass doors that seem to be more popular in the South than they are here in the Midwest. I couldn’t find one locally so I ordered this one from Richmond, Virginia. It was a bit of a risk but the installation went fine and a happy surprise was that it looks just as pretty from the inside as it does from the outside. I love the way it frames the view. 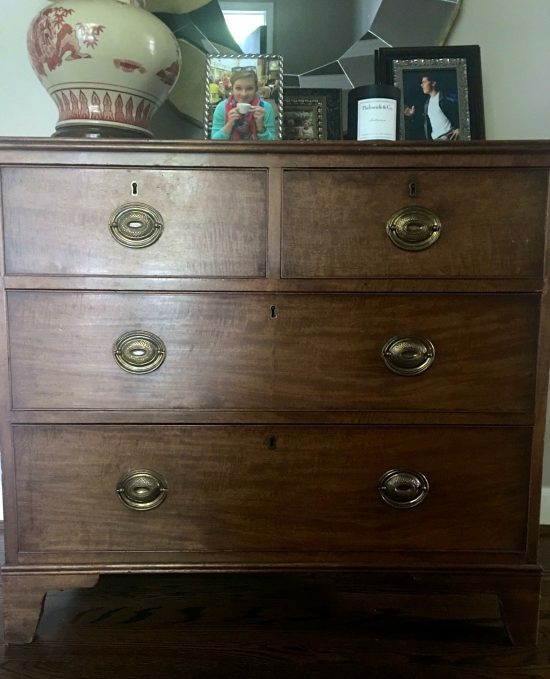 It’s been almost a year now, but I found this chest for the entryway at an estate sale. 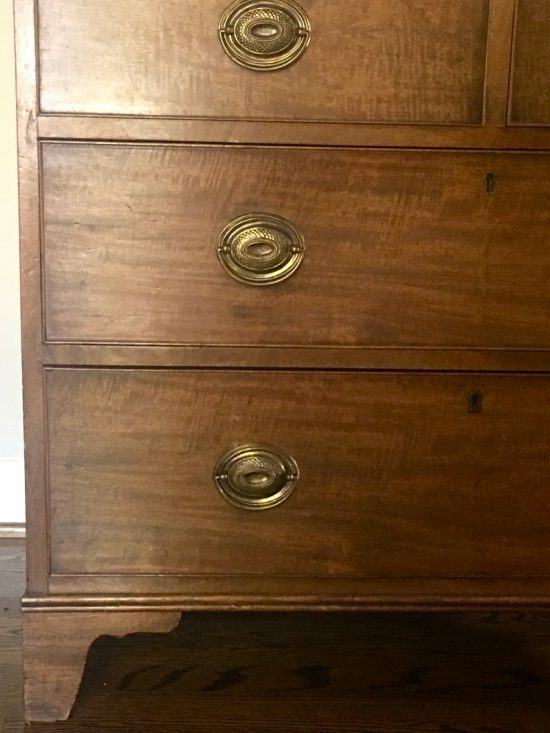 This piece is one of my favorite vintage finds so far. I’m always on the lookout for chests like these because you can use them in so many places. 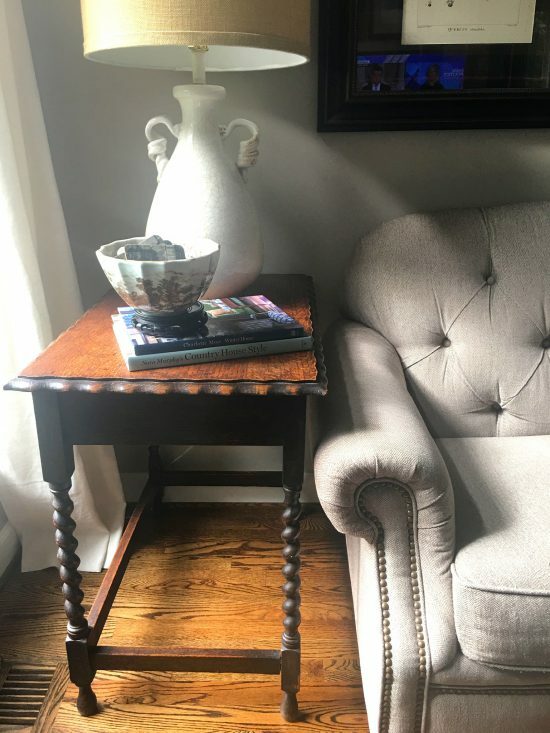 This little antique end table was another estate sale find. It replaced a table we bought new when we got married 32 years ago. 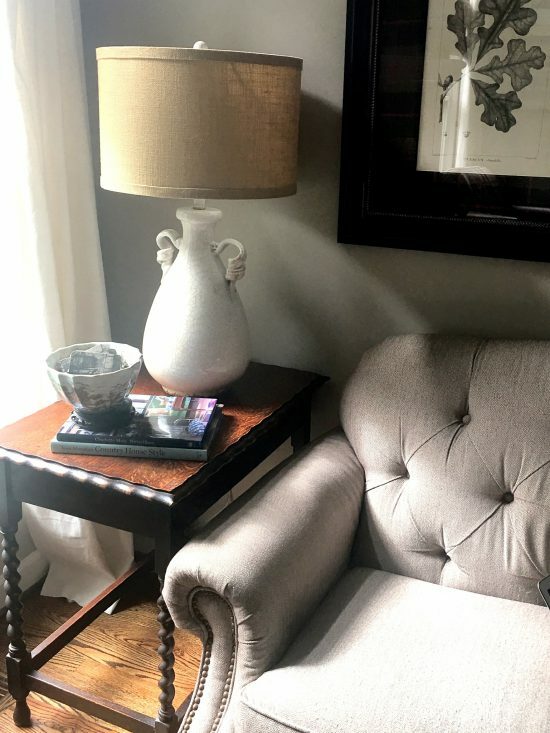 It is the perfect size for this spot in the family room, but it was those legs that really sold me. 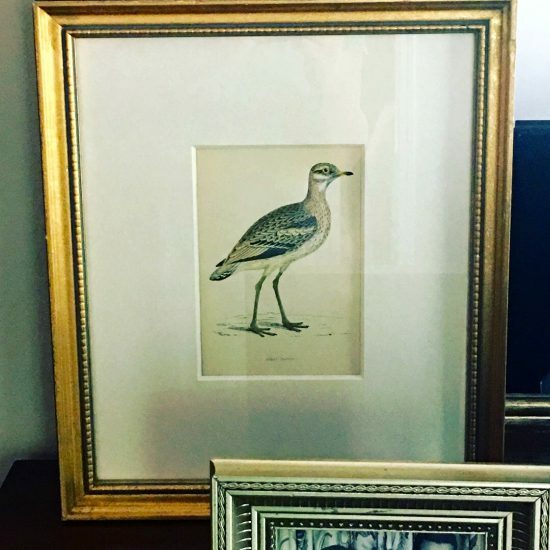 Finally, I discovered this framed bird print from an Instagram seller. 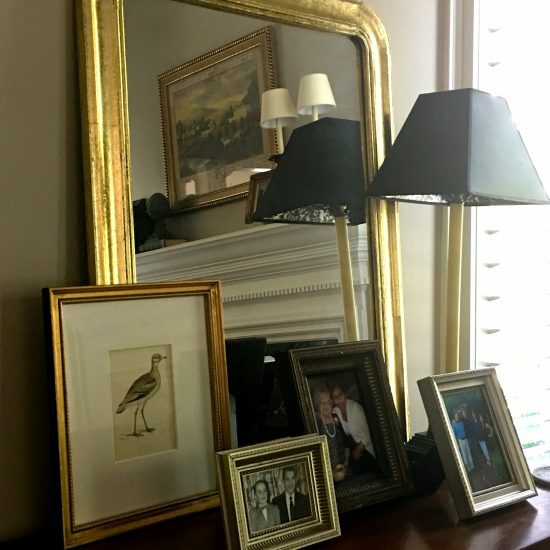 I slipped it in between a mirror and some photos in the living room, and it seems at home there. I hope your October is going well. It’s one of the best months of the year, don’t you think? P.S. The best pumpkin bars and fall in Georgetown. Oh my goodness, I love your style! 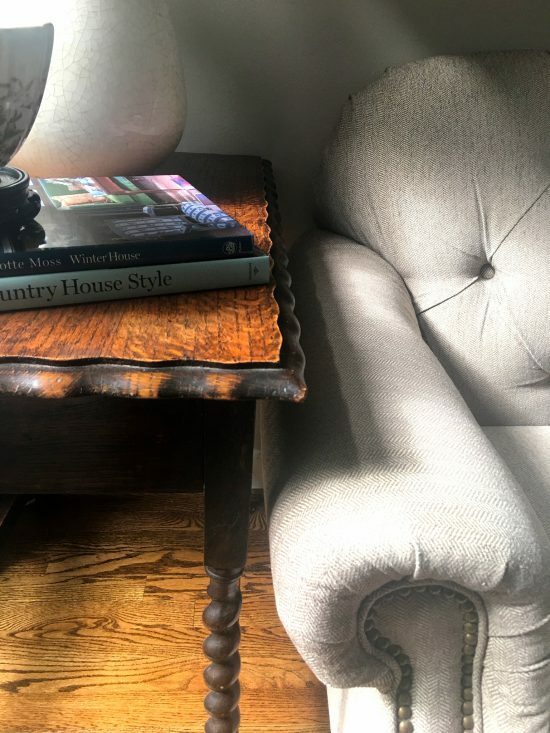 Traditional with vintage/antique – speaks to my own style. 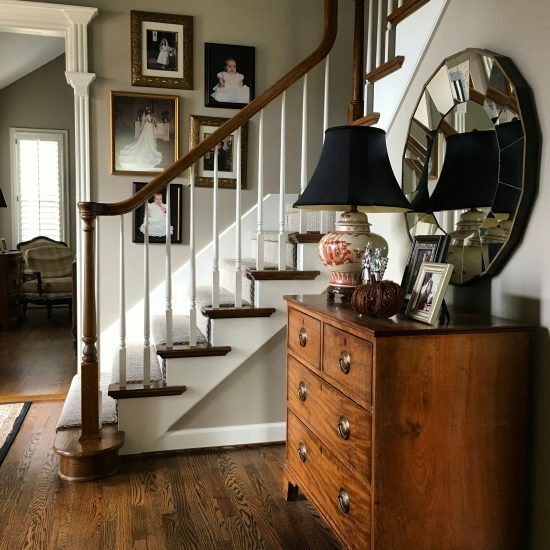 That front door and entry chest, as well as that bench – classically beautiful and understated. Happy Fall! So glad you are posting again! 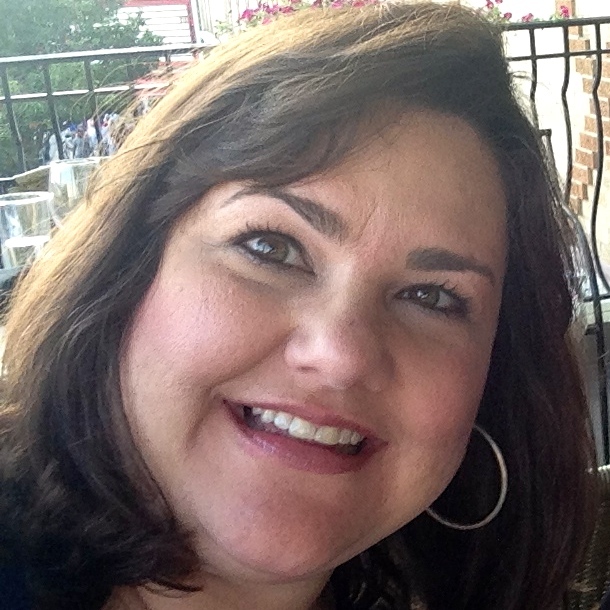 I love your blog and followed you from your old one. Keep posting!